FCM's Annual Conference and Trade Show is the largest annual gathering of senior municipal officials from across Canada. 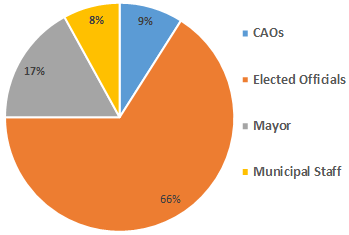 FCM has been the national voice of municipal government since 1901 and has over 2,000 member municipalities, which represents approximately 91 per cent of the Canadian population. 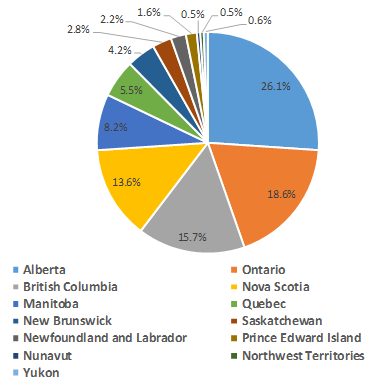 FCM members include Canada's largest cities, small and rural communities, and 19 provincial and territorial municipal associations. Increase your share of the $98-billion municipal marketplace, and meet face-to-face with influential municipal decision-makers who are hard to reach through conventional business channels. FCM's Annual Conference and Trade Show is the one place where political, managerial and technical municipal representatives come together to learn about and obtain strategic tools of the future. Furnishing, carpet, electricity, internet and furniture are not included in the booth rental price. The flooring at the Quebec City Convention Centre is not carpeted therefore carpet rental is mandatory. FCM does not provide a delegate list. Thursday, May 30, 2019, 5 p.m.–7 p.m.—Welcome reception and cocktail event in the exhibit hall—Exhibitors, come meet your delegates! Thursday, May 30, 2019, 8 a.m.–3 p.m.
Saturday, June 1, 2019, 2:30 p.m.–7 p.m.
All Exhibit staff must present a government-issued photo ID to pick up your badge on-site. Exhibitors will be required to wear the FCM issued badge and lanyard during trade show hours. Name badges are not transferable under any circumstances. FCM permits booth sharing but requires each exhibiting organization to be approved by Show Management. Exhibitors may not host representatives or display material (brochures, banners, etc.) from a third party organization without Show Management approval. To share a booth, the third party organization must complete and remit the FCM Shared Booth application form for FCM approval, agree to the Terms and Conditions and pay the applicable fee. Any Exhibitor ordering rigging services will require pre-approval by FCM Show Management. All booths must be completely set up on/before 3:00 p.m., Thursday May 30th, 2019. Any exhibitor not checked-in by 2:30 p.m. will be presumed abandoned and space may be released. Should exhibitor experience a travel delay, he/she must contact Marie Klobucar before 2:30 p.m. to advise of the delay. 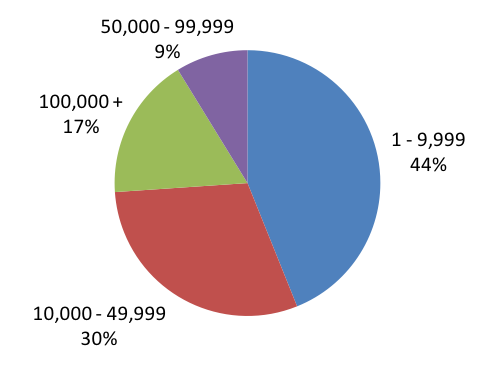 No-show exhibitors may result in loss of booth space opportunities for the following year. No exhibits or displays may be dismantled before the official close of the trade show on Saturday, June 1st 2019. *Failure to comply to show regulations, No-show booths or early dismantling/departure may result in loss of booth space opportunities for the following year. More than 1,800 municipal officials from across Canada: Mayors, Councillors, City Managers, Chief Financial Officers, City Clerks, Purchasing Directors, Transportation Directors, Public Works Directors, Information Systems Directors, Human Resources Directors, Parks and Recreation Directors, Environmental contacts and Economic Development Officers. Electricity, carpet/covered flooring (mandatory) and furniture are not included in the booth rental price. Thursday, May 30, 2019, 5 p.m.–7 p.m.—Welcome reception and cocktail event in the exhibit hall—Come meet our delegates! Friday, May 31, 2019, 7:30 a.m.–3:30 p.m.
Saturday, June 1, 2019, exact time tbc–6 p.m. Maximize traffic in your booth by offering a prize. Delegates will be invited to visit the exhibit booths to drop off their ballot in a Prize Draw barrel located within your booth. The draw will take place Saturday, June 1st, at the Trade Show, where a representative from your organization will be given the opportunity to present the prize to the lucky winner. Contact Marie Klobucar for more details. Sponsor will have an opportunity to insert one product or brochure* into conference delegate bag. Sponsor is responsible for the cost of the product or brochure. *Weight and size limits apply. Contact Marie Klobucar for details. 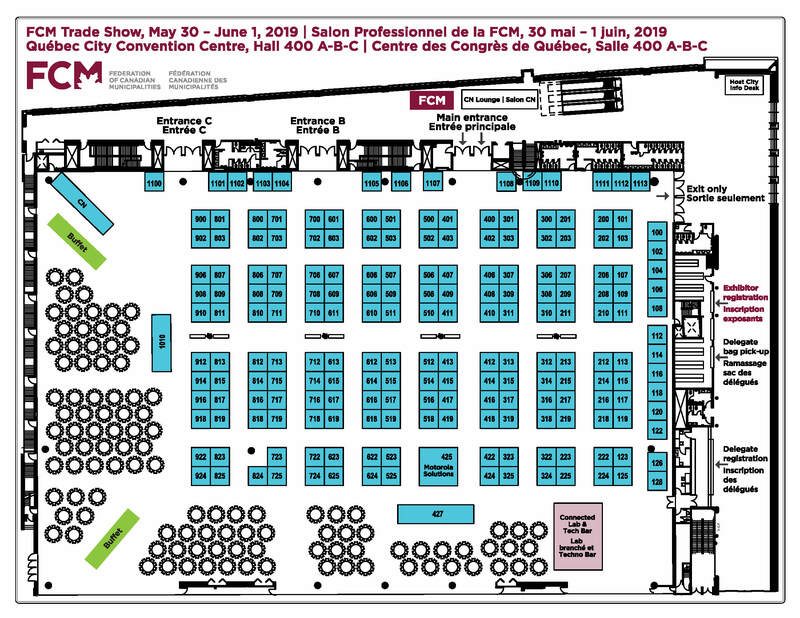 Exhibitors participating in FCM's Annual Conference and Trade Show may be contacted by companies claiming to have promotional offers such as delegate lists and lower hotel guestroom rates than the FCM negotiated rates. These companies are not associated with FCM, nor authorized by FCM to contact our clients, partners and/or exhibitors. FCM does not advise purchasing services or booking your guestroom(s) through this method.